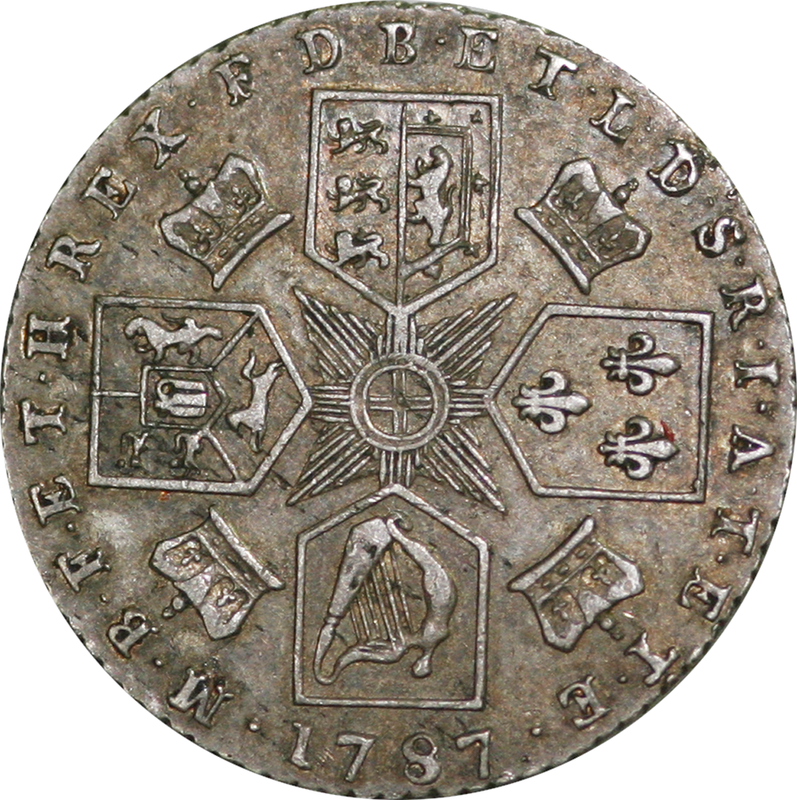 Dated 1787, they are the only sixpence coins issued during the first twenty seven years of George III reign from 1760 to 1816. 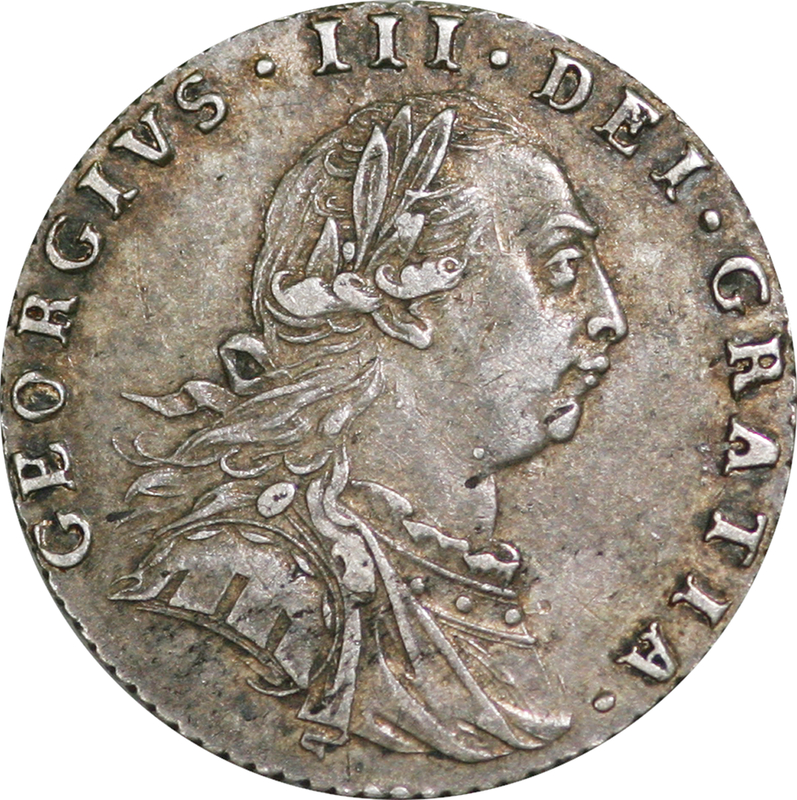 England was almost bankrupt due to the war with America and could not afford to produce coinage. Coins are in very fine to extremely fine condition.